Did you know that Nashville tap water has chemicals that can be harmful to both your home and body? Water filtration systems can extend the life-span of household appliances such as water heaters, dishwashers, and faucets. Filtered water is better for your skin and hair. Filtration systems remove the bad taste and smell from tap water. Water that has been passed through a house filtration system can improve the taste of your food and drinks. 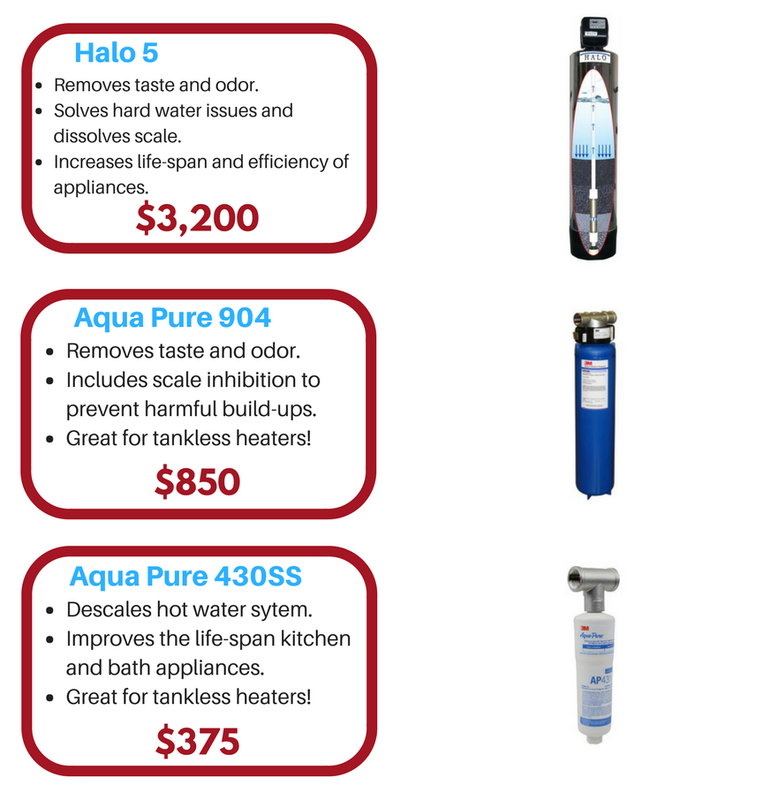 If a water filtration system seems like something you would like to have installed in your home, take a look at some of our deals to the right! These are just a few of the options that we recommend to our customers in order to get a cleaner water supply. Give us a call by clicking the button below and find the best water purifier for your home!